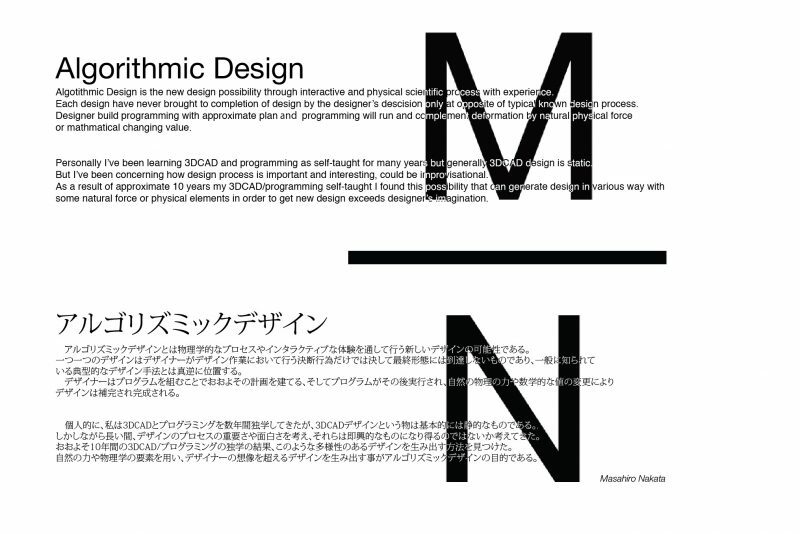 Algotithmic Design is the new design possibility through interactive and physical scientific process with experience. Each design have never brought to completion of design by the designer’s descision only at opposite of typical known design process. Designer build programming with approximate plan and programming will run and complement deformation by natural physical force or mathmatical changing value. some natural force or physical elements in order to get new design exceeds designer’s imagination.